Our daughter loves art so painting is a great and creative way for her to show what she's learned. 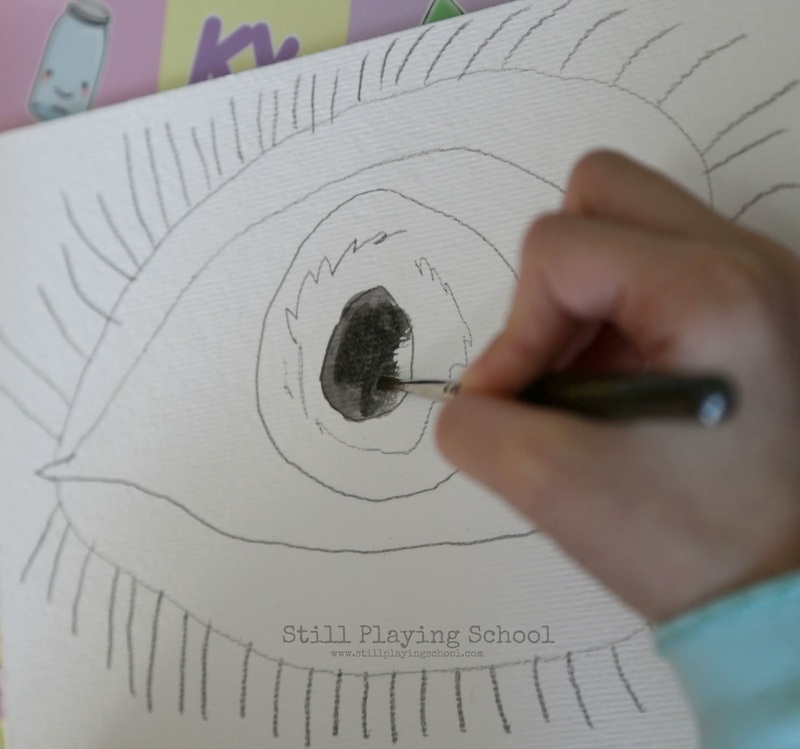 We studied the parts of the human eye this week then she worked on a watercolor painting to demonstrate her learning. 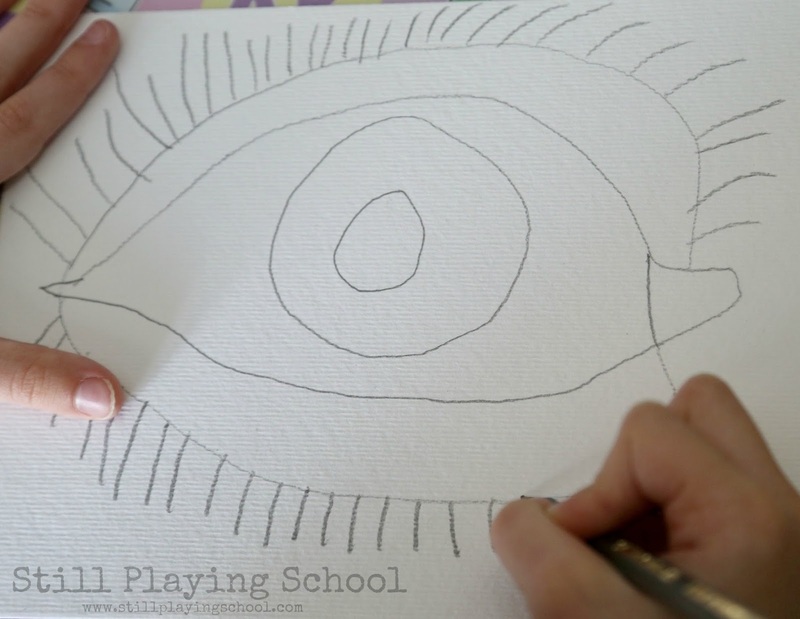 At the beginning of our lesson, we looked at photos of human eyes on the internet. 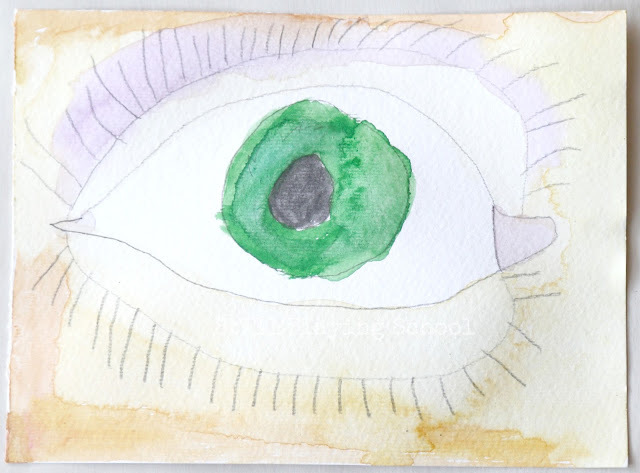 There were several parts that I wanted her to be able to identify such as the pupil, the iris, the tear duct, the upper and lower lids, and the eyelashes. 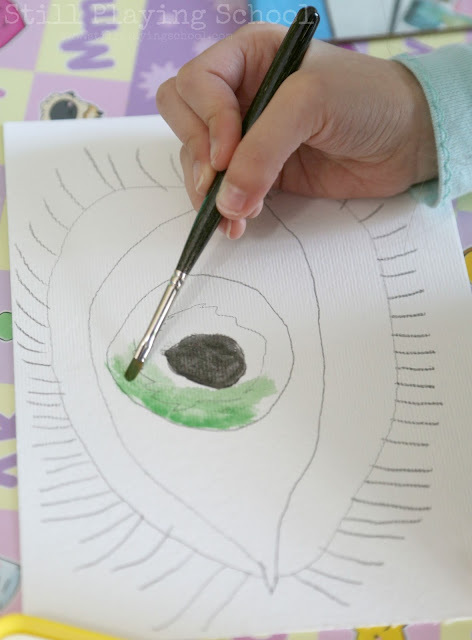 She loves to draw with pencil on watercolor paper first then fill in with watercolor paints. We talked about the pictures we had seen as she worked. 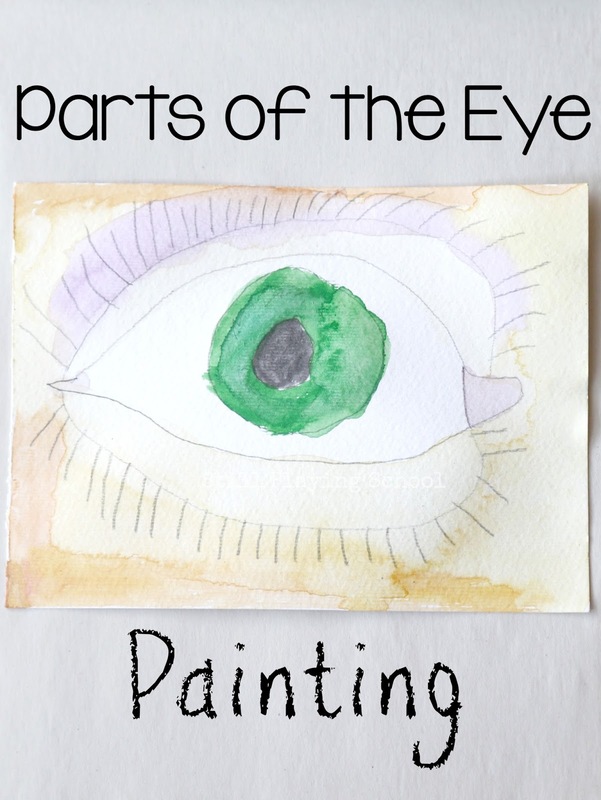 She named the parts of the eye as she painted them appropriately (and added purple eye shadow, of course)! My daughter would add eye shadow too, lol!